Working with Strategic Public Affairs, PESA co-sponsors business forums with elected officials that address today’s most significant and critical issues related to the oil and gas industry. This spring, the forums focused on energy legislation and how it should represent the industry’s ability to compete in the global market and advance scientific discovery. At the PESA co-sponsored business forum, April 1, featuring U.S. 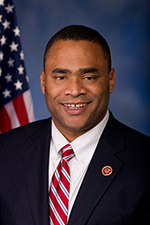 Congressman Marc Veasey (D-TX), who represents Texas’ Congressional District 33 in the U.S. House of Representatives, the discussion focused on his work on the Energy Subcommittee working to encourage energy research and development to increase production from all sources, strengthen our nation’s energy independence, and lower energy production costs for families and businesses. In addition to the Energy Subcommittee, Veasey also sits on the Subcommittee on Space, both part of the House Science, Space and Technology Committee. As a Member of the House Science, Space and Technology Committee, Rep. Veasey sits on the Energy Subcommittee where he works to encourage energy research and development to increase production from all sources, strengthen our nation’s energy independence, and lower energy production costs for families and businesses. The Energy Subcommittee has legislative jurisdiction and general oversight and investigative authority on all matters relating to energy research, development, and demonstration and projects therefor, commercial application of energy technology, and environmental research. 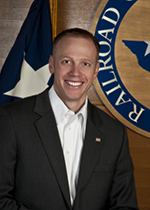 Texas Railroad Commissioner Ryan Sitton led the PESA co-sponsored business forum on June 4, delivering details on his vision for Texas and energy producers in this state. As Railroad Commissioner, Ryan is working to make the commission more efficient and effective so Texas can lead America to energy independence. He believes Texas, not the EPA or other federal agencies, should be responsible for overseeing the production of our natural resources which is why he is committed to fighting burdensome federal interference.